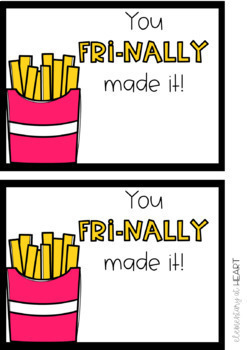 Who doesn't love french fries?! 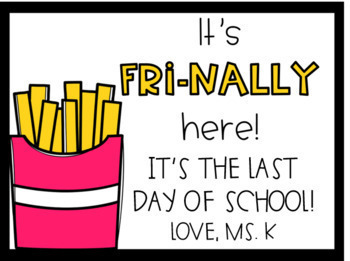 This is a super cute card to give to your students at the end or beginning of the school year. 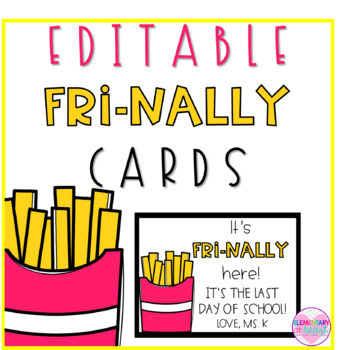 There are several options included so that you can use these cards for various purposes! You can insert a text box and add your own message such as, "You're a Second Grader!" or "Have a great summer!"